FAye Loyce Irving-Dawsey obituary. Carnes Funeral Home. On January 30, 2018, Faye Loyce Irving Dawsey surrounded by her loved ones peacefully passed away and traded her earthly home for a heavenly seat. Faye fought a fierce, courageous battle for four years. She died how she lived… with dignity, strength, and honor. Faye was born in Huntsville, Texas, on January 3, 1943. Shewas a graduate of the Class of 1960 from Sam Houston High School. She graduated second in her class. She received a Bachelor of Science and Masters of Education from Prairie View A&M University. She was an educator for 30 years in TCISD and GISD. 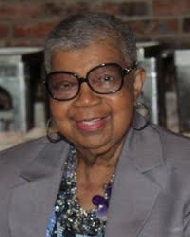 She was a member of Progressive Missionary Baptist Church for over forty years. She served as the Election Judge for Precinct Number 338. She was a charter member of Gamma Omega Omega Chapter of Alpha Kappa Alpha Sorority, Inc.
She was preceded in death by 11 older siblings. Faye is survived by the love of her life, daughter, Maronda Dawsey Chapman and husband, Captain (Ret.) Archie J. Chapman, Sr., grandchildren, Archie J. Chapman, Jr., Crystal Chapman, nieces Margaret (Polly) Jones, Jewel Dean Pettus, Vickie Fifer, Kimberly Dickey, Amber Pettus, God daughter, Karen Armstead, God son, Rev. Jonathan Steele, Jr., a host of other nieces, nephews, cousins and Face book friends. The Ivy Beyond the Wall Ceremony conducted by Gamma Omega Omega Chapter of Alpha Kappa Alpha Sorority, Inc. will start at 10:30am. A Visitation will be held on Saturday February 3, 2018 at Carnes Funeral Home beginning at 10am with a chapel service to start at 11am and burial to follow at Forest Park East in Webster, Texas.